In this follow-up to the NZXT Switch 810 review we will be looking at the NZXT 810 SE with a "gunmetal" finish. This case is identical in features and style as the original NZXT Switch 810, so I won't spend a lot of time covering stuff that Michael "Cottonmouth" Bollinger has already covered. In this article, I'll cover some of features of the case that I found quite interesting as well as a look at the new finish. As you can see above, the color of the case is a bit unique to NZXT. The finish is grey "gunmetal". I would say this is a bit more on the charcoal side, but either way it's quite attractive in place of a traditional black case that is now the new beige. Black is getting tired for sure. The grey two-tone finish gives this case a bit more curb appeal and it looks sharp. 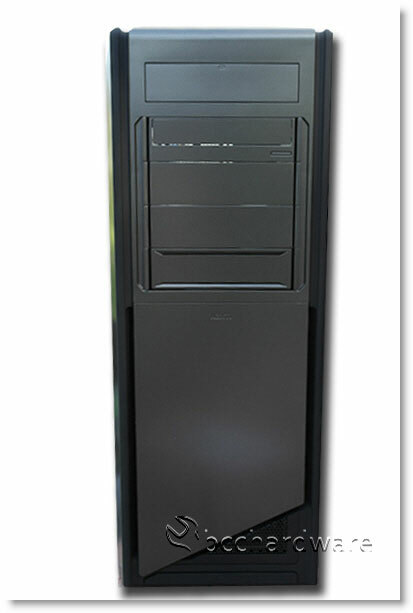 As you can see below, the case is a full-tower, but only has space for four 5.25" devices. This should be enough for most people however as many computers today have a single optical drive and perhaps a fan controller of some sort. The rear of the case shows that NZXT plans you to do some tweaking with big motherboards as they have four ports for external hoses or wires. 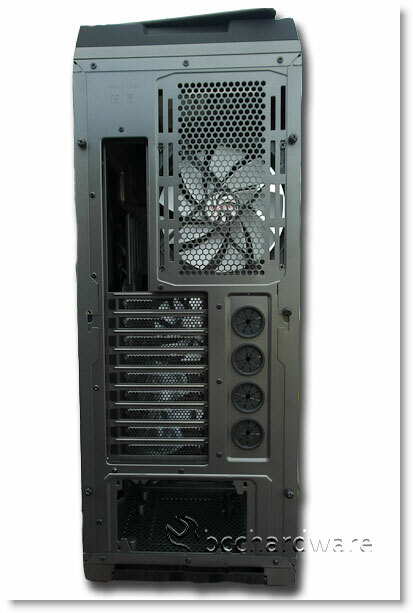 There are also nine expansion slots on this case making it a monster. One thing that may get overlooked on the case is the rear exhaust fan area. 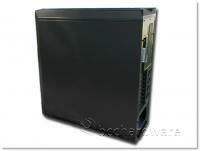 This case comes with a 140mm exhaust fan that mounts in long slotted holes. 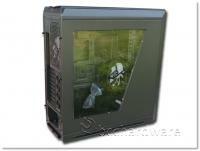 If you need to exchange this for a more standard 120mm fan for a liquid cooling system, you can easily do this. The slotted holes allow you to mount the fan where it best suites your needs. This is a small touch that I think more case manufacturers should pay attention to. On the next page, we'll take a closer look at the top and front features of the case.